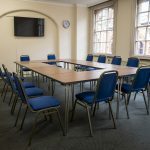 One of our medium-sized meeting rooms, Room 14 benefits from a large TV screen that can be used for presentations. 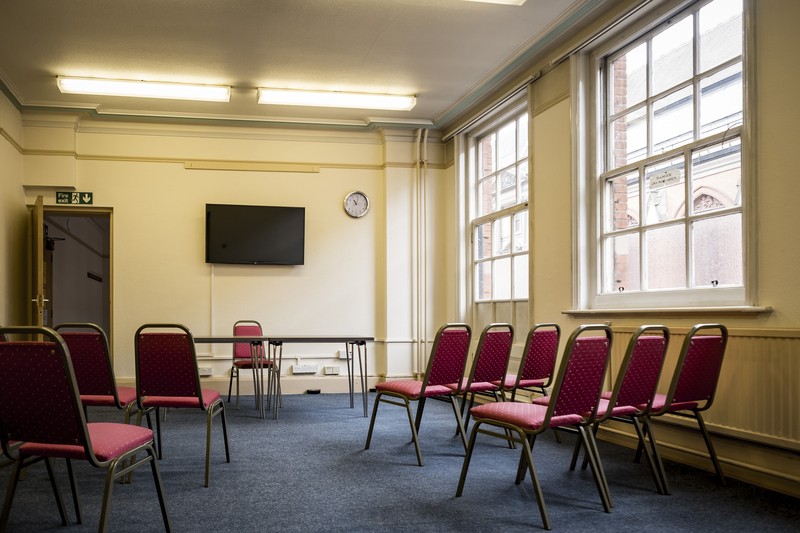 The room is adjoined to Room 16 which can also be booked and used as a break-out space. Flexible seating arrangements mean that it can seat up to 24 theatre-style, or up to 15 people boardroom-style. Unfortunately, Room 14 is not wheelchair accessible. For a similar sized room with wheelchair accessibility, see Rooms 21 and 22. 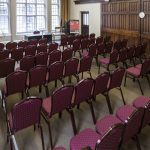 A hearing loop is available for this room (price on request).